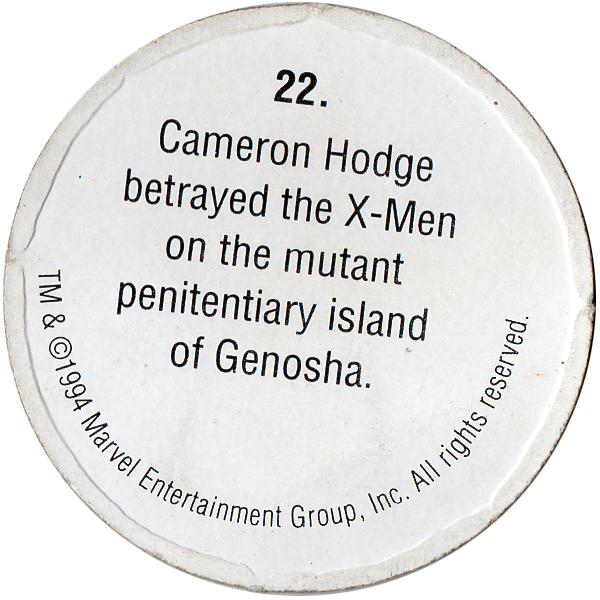 Info:This cap features a character from the X-Men comics. On the back it has a short description of the character depicted on the front. 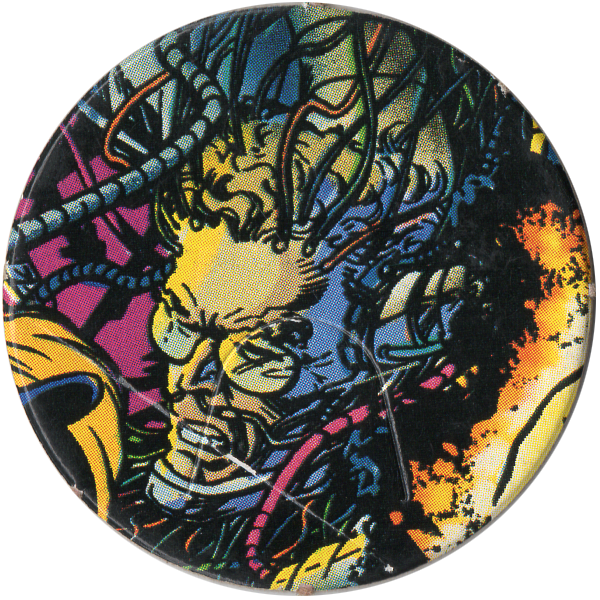 Likely the pog was not directly manufactured by Marvel, but there is no manufacturer info printed on the pog other than a copyright notice from Marvel.